Sugar Mountain is an annual single-day festival that celebrates the best in cutting-edge music and art, with the 2017 line-up featuring the likes of Blood Orange, Pantha Du Prince, Weyes Blood, Little Simz, Big Scary and Methyl Ethel. Sugar Mountain is the only Australian festival partner of Boiler Room, and recently announced its 2017 Sensory restaurant collaborators: musicians Survive (creators of the Stranger Things soundtrack), contemporary American artist Daniel Arsham and, Melbourne chef and restauranteur, Peter Gunn of Ides in Collingwood. Sugar Mountain 2017 takes place on Saturday 21 January, 2017, at Victorian College of the Arts. 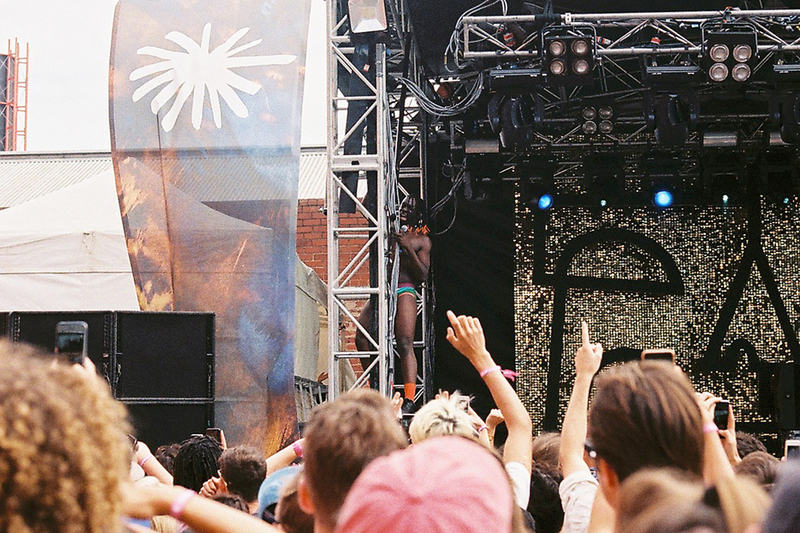 Le1f performing at Sugar Mountain 2016.